Dinner can be exchanged for lunch, daily. To exchange dinner for lunch, or to make dinner at Fuego Restaurante y Cantina, please see Guest Services. For Dinner at Fuego Restaurante y Cantina, MAP guests may use a $27.00 USD per person credit and a $16.00 USD credit for children ages 5 to 12; not applicable on beverages, towards the food portion cost of their meal. The peso conversion of the USD credits may change based on the current exchange rates. Pamper yourself with an spa break at Revive Spa during your stay with us! Escape the cold and make your winter getaway to sunny Playa del Carmen. 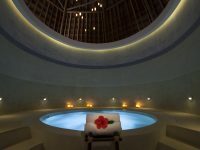 Book your stay at Mahekal Beach Resort and save 40% off. 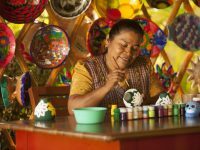 Bring out your inner artist with a visit to the Frida Kahlo museum, pottery painting al fresco and more. 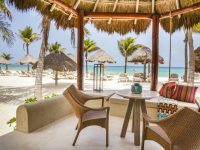 Let Mahekal plan the perfect escape for your next visit to Playa del Carmen. Enjoy the ultimate romance experience in Playa del Carmen.